The anniversary Viggen kit decal sheet graphics which we have just revealed here is to be broken down to two sheets, one quite large while the other is of rather smallish proportions. 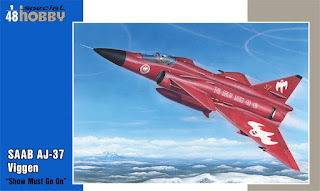 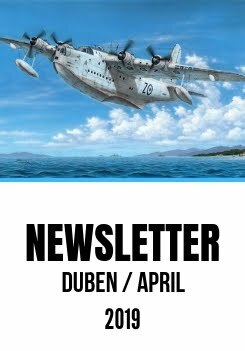 The white colour sheet will comprise all the ghost cartoons and fuselage letterings, the latter twice as the words go also atop of the airbrakes which the modeller may intend to leave open or shut (for the open option, we advise to use flawlessly detailed CMK sets Q48220 SAAB 37 Viggen Air Brakes Set). 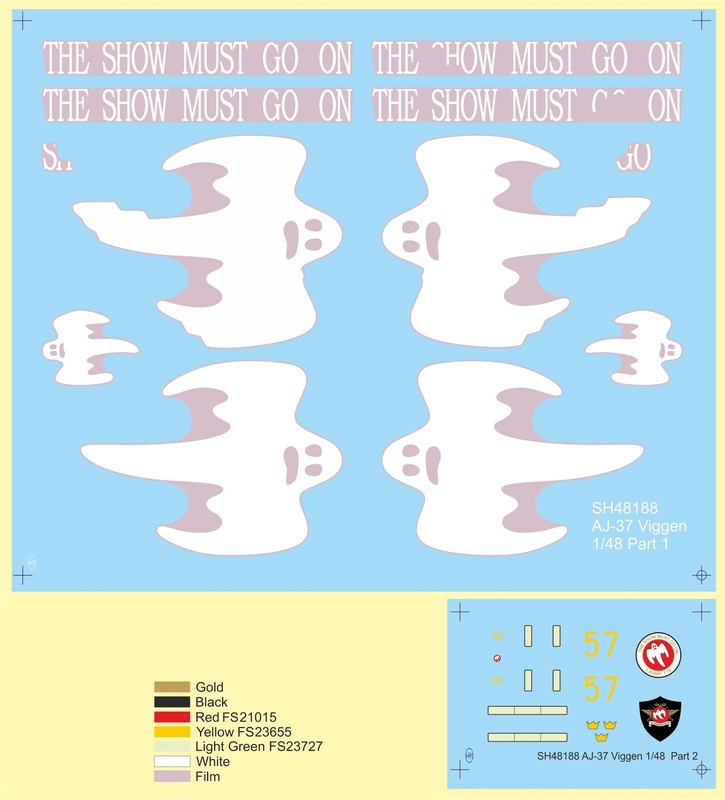 The Show Must Go On decal with divided letters should be used with the open brake option and vice versa. The smaller sheet caters for all the colourful markings that the red Viggen had on its surface.